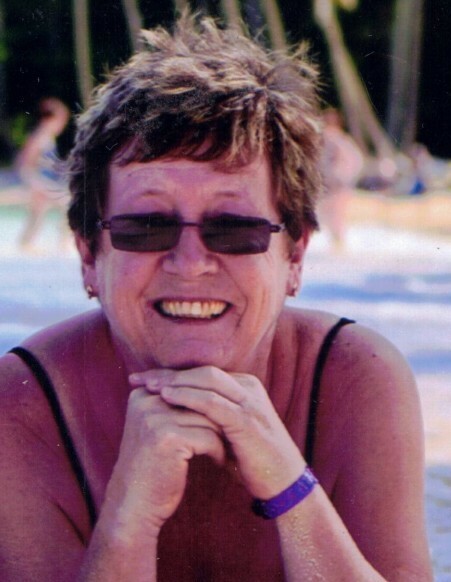 Obituary for Carol Margaret (Haig) Pritchard | Heubner Funeral Home Barry's Bay Ltd.
Carol Margaret Pritchard (Nee Haig) Born May 14th 1951 in Peterborough Ontario. After a valiant and courageous struggle, surrounded by family and friends, Carol passed away on November 29th. Carol was an absolutely amazing mom, wife, nanny, sister, aunt and friend. She will be remembered for her amazing cooking, warm hospitality and incredible sense of humour. She is survived by her husband Arnie (Nick), daughter Niquel (Jim Pataki), daughter Yvette and her grand babies: Cheyenne (Connor Barr), Hunter (Quynn Jackman), Curtis, Carley and great grandbaby, Carsyn Barr. She was the much loved sister of Marilyn (Dan Lemon) and best friend for over 60 years of Carol Ann (Bill Truscott). She was predeceased by her mother and father, Patricia and Harold Haig. She grew up in East City in Peterborough, a city she loved. She will be incredibly missed by many cousins, nieces, nephews and friends. Her wake will be held at the Heubner Funeral Home in Barry’s Bay on Sunday December 2nd at 2:00 -4:00 and 7:00 – 9:00 PM. Funeral services will be held at the Purdy Community Church on Monday December 3rd at 11:00 AM. In lieu of flowers, the family would appreciate a donation to St. Francis Memorial Hospital in Barry’s Bay.